I possess a BA Hons degree in English and History with a Masters in English and Education. Based in Tramore, I provide a free initial consultation service. I currently run a thriving grinds system, creative writing workshops in various venues, revision workshops and writing classes. 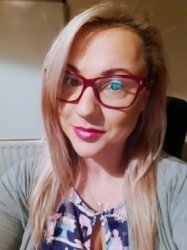 In Carlow and Tramore, I have taught Junior and Senior level English and History and have internationally taught English. I operate one hour sessions, the first being a free consultation. During these hours, we complement the school syllabus and address the student's personal difficulties with regard to areas within the course layout. At the end of each block of sessions, a progress sheet is sent home with the student to keep the parents/guardians updated at all times. Emphasis is always on the health and confidence of the student. DymphnaFrom Rachael (5/5): (Senior Cycle English) I would highly recommend Dymphna for English Leaving Cert tutition. She is very friendly , professional and has a great knowledge of the English curriculum . My daughter found her lessons very informative and Dymphna had a great way of explaining the two papers for the Leaving Cert and what is required to get maximum points for each answer. DymphnaFrom Iulila (5/5): (Adult / Casual English) I have had just one lesson with this tutor but I liked our lesson. Hope next lessons will be also interesting and educational! DymphnaFrom Claire (5/5): (Senior Cycle English) Yes we have made contact with Dymphna, Claire is having her first grind tomorrow sat, Thank you.